Faculty Meeting News and Notes: February 7, 2019 | The Gettysburgian. The Gettysburg College faculty met Thursday afternoon for the first time this semester and pursued a packed agenda that it did not entirely complete before adjourning after the meeting had already run a few minutes past its allotted hour. The first substantive agenda item was consideration of a proposal from the First-Year Seminar Committee to make participation in First-Year Seminars mandatory for students beginning with the Class of 2024. The proposal, which passed by a vote of 86-53 with five abstentions, was presented at a meeting in October and discussed further at a meeting on Dec. 6, 2018. Presently, FYS participation is at 95 percent, but that number is considerably lower for international students, a group that Glass acknowledged Thursday has often viewed FYS as “frivolous” and has opted not to take them since they are not mandatory. The primary specific concern raised during the faculty’s discussion of the issue was first articulated in December by Dr. Brent Talbot, Associate Professor and Coordinator of Music Education in the Sunderman Conservatory of Music. Talbot said that, although he strongly supports the FYS program and encourages incoming music education majors to participate, the Bachelor of Music Education degree program has to comply with various state-mandated curricular standards such that adding another required course could prevent music education students, who generally have only a handful of course slots available outside their major and the college curricular requirements, from pursuing other interests such as a minor in another field. Glass responded by saying that his calculation is, on balance, that this proposal would benefit more students to a greater extent than the “inconvenience” it would pose to students in fields such as music education. While many music education majors have pursued minors in Peace & Justice Studies, a program in which several education courses can count towards the six-course requirement, Brooke Maskin ’20 is the only music education major currently pursuing a different minor. Hers is in Spanish. Though Maskin took a First-Year Seminar that did meet the writing requirement, she noted in an email to The Gettysburgian that she met the college’s lab science requirement by taking a biology course at a community college the summer after her first year. Maskin emphasized that her decision to add a Spanish minor is directly tied to her plans as a future music teacher and noted that she aspires to become fluent in the language. After the vote, President Janet Morgan Riggs applauded the resolution. 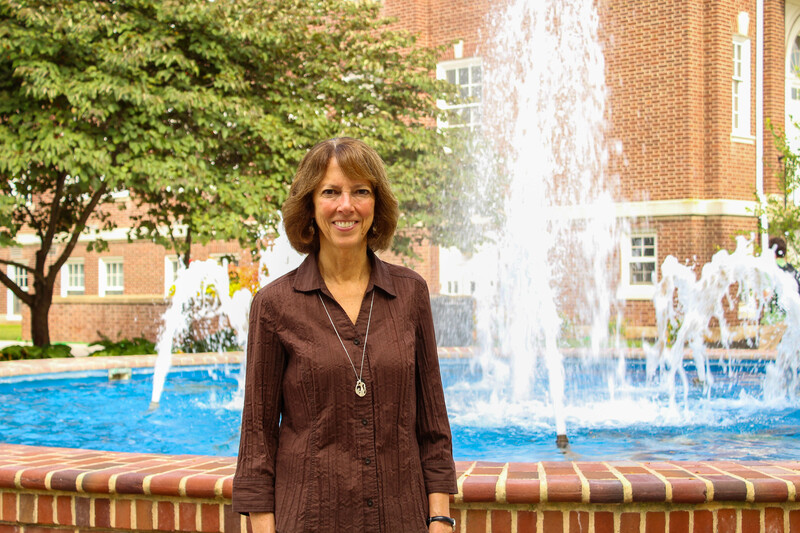 “I think this is an important moment for the Gettysburg College faculty and the curriculum,” she said. The proposal will take effect beginning in the fall of 2020. After the FYS vote, the Academic Program and Policy Committee (APPC) presented a motion to make summer hybrid courses a permanent fixture in the college curriculum beginning in the summer of 2019 after three consecutive summers in which the courses, which are generally conducted online and include both synchronous and asynchronous components, have been tested as pilot programs. Dr. Christopher Barlett, Associate Professor of Psychology, presented data from course assessments of the 2017 and 2018 course offerings that showed, in most cases, no statistically significant difference when comparing student course evaluations from the hybrid courses to student course evaluations from those same courses taught in the traditional format by the same professors. The only variances came in the amount of time students spent per week on courses, which was higher for the hybrid courses (hybrid courses are condensed into five weeks such that students should spend more time per week than they would in a traditional 15- week course), and in how much students think they learned in the course, which, in 2017 was lower for hybrid courses but was similar in 2018 and overall. Barlett noted, however, that course grades were very similar between hybrid and traditional courses in both years. He noted that faculty found teaching hybrid courses time-consuming and challenging, but also fun. Professor of Psychology Brian Meier, Chair of APPC, presented the committee’s motion, which, he noted, arose out of discussion that has dated back to 2013 and has been a recommendation of the Forward Thinking Group and the Curricular Efficiency Committee of the Sustainable Excellence process. The faculty did not vote on the motion, but, after the presentation, a spirited discussion ensued that began when Professor of Biology Véronique Delesalle questioned the disparities in pay between faculty who teach hybrid courses — who are paid using a formula similar to how faculty are compensated for teaching “overloads” — and faculty who conduct other professional development activities over the summer including mentoring research through programs like the Cross-Disciplinary Science Institute (X-SIG) program for less, or no, additional compensation. She also questioned whether junior faculty should be teaching extra courses over the summer, which might help more readily pay off student loans, rather than pursuing research activities to support getting tenure. Responding to the first point, Meier said that faculty work on a nine-month contract such that they are not required to do anything over the summer, a comment that elicited appreciable groans and negative chatter from the room. Associate Professor of Physics Kurt Andresen verbalized that disagreement. Responding to Delesalle’s second point about junior faculty, Vice Provost Jack Ryan said that each department has a mentoring program for junior faculty and that, moving forward, it is up to departments to schedule these summer courses. He added that, while the pilots have aimed to have tenured faculty as instructors, this past summer, first-year Assistant Professor of Music Bill O’Hara taught a course on music in video games that, in Ryan’s words, was “a smash” and received “superlative” course evaluations. The faculty is expected to vote on the motion later in the semester. Riggs announced to the faculty that the Board of Trustees meets this weekend and has an action-packed agenda that includes the budget for the coming year, long-term financial planning, the campus master plan for facilities, and consideration of shared governance particularly in the context of the upcoming presidential transition. Benjamin Pontz '20 serves as editor-in-chief of The Gettysburgian. Previously, he served as a staff writer, event coverage coordinator, news editor, and managing news editor. During his tenure, he has written more than 130 articles, and he led the team that won first place in the 2017 Keystone Press Awards for ongoing news coverage of Robert Spencer's visit to Gettysburg College. Ben is a political science and public policy double major with a minor in music, and he reads up to seven newspapers daily. Follow him on Twitter @benpontz.